I snapped her for a friend of hers to show the outfit. But, the "dog walker" has gone on a trip. Do you "get" the title? and a final shot for the background (minus some trees to make the subjects stand out more). I drew in the leash and strings. I know... it's obvious. So be it. LOL!! 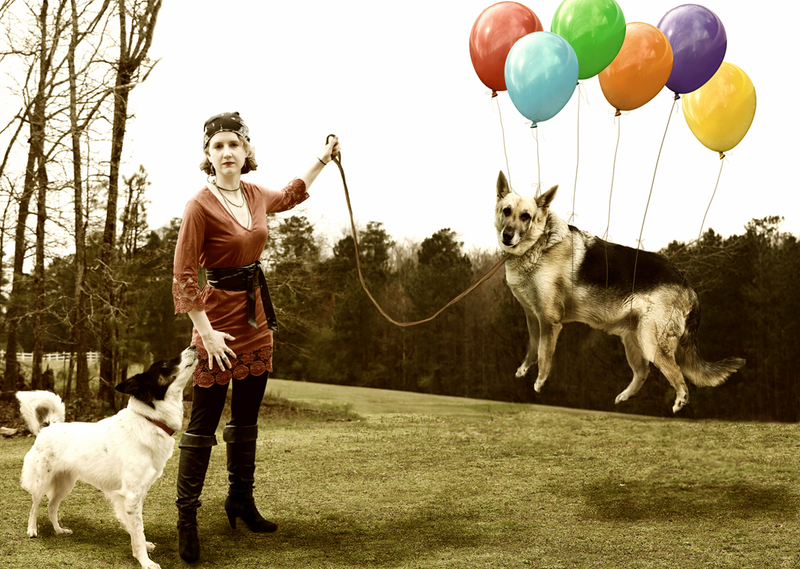 The look on balloon dog is priceless. Congrats on the ribbon, Lydia. Hilarious and well put together. Congrats Lydia, such a fun shot. Could only have been you :-) congratulations on your third place. Well this is quite magical! Proudly hosted by Sargasso Networks. Current Server Time: 04/19/2019 01:10:44 PM EDT.